Watch: Why Am I A Magnet For Bad Relationships? Do you ever feel like you are just a magnet for all the wrong kinds of people? You go out on a date and the guy seems great, but by the end you are seriously questioning how these people find you? And then of course, the big questions. Was this avoidable? Why did it take so long for you to figure out the kind of person he or she really is? Were there red flags you should have noticed and didn’t? This are questions I get asked often in the dating coaching that I do. And it is a really important area to address, because when this situation happens over and over again, often people start doubting themselves. After all, they are on the only common denominator, so perhaps they are the problem? 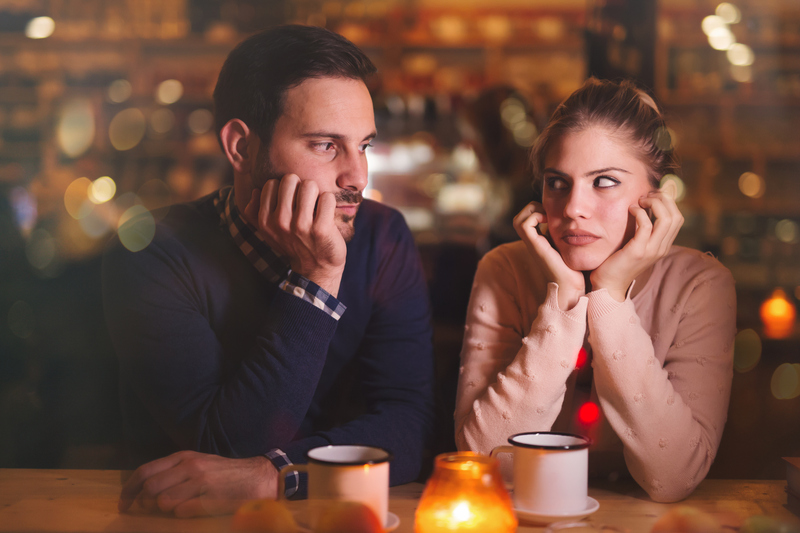 So here is my greatest tip in terms of identifying red flags early on in dating… the best way to know what kind of person you are dealing with, is to watch how this person interacts with absolutely everyone, other than yourself! Because let’s hope that in the beginning of the dating process, this person is on his or her best behavior. After all, this is when one wants to impress. So they will dress their best, say all the right things, do all the right things and go out of their way to appear how they want to be seen. And if they are not doing this, then seriously, don’t waste your time. If the way the person is treating you is questionable, there is nothing to discuss. Because I assure you, things are only going to get worse and not better. So let’s assume that this person is appearing, in the beginning, to be pretty close to perfect. Which is actually why it is so hard to miss those red flags if your attention is only focused on how he or she is interacting with you. Which is why you need to start paying attention to everyone else. No matter how great of an actor he or she may be, one’s true character will come out with the people that person is not trying to impress. Which is essentially everyone other than you. So pay attention to how he is treating the waitress, to how she speaks to the taxi driver, to how he deals with the check out guy at the grocery store. If in those situations, this person is rude, dismissive, or curt, give it some time and that is exactly how you will be treated. A nice and kind person is nice and kind to everyone. Not just to the person he or she is dating. Same with a generous person. Or a patient person. So think through the qualities that are important to you, and make sure to pay attention to the ones you want to avoid, and then with eyes wide open, watch what is happening in those interactions with everyone around you. And if you don’t like what you see, realize you are staring right at some serious red flags! Sara Esther Crispe, a writer, inspirational speaker and mother of four, is the Co-Director of interclusion, a social mosaic which perpetuates the arts, sciences, literature, and music through Jewish tradition. She was also the creator and editor of TheJewishWoman.org and has worked as a local producer for shows relating to Judaism on the Oprah Winfrey Network and HARPO Productions and Refinery29. She lives with her family in Danby, Vermont where they run Jewish experiential retreats.